Bitcoin hits $20,000, then drops back to $15,000. San Francisco to ban robots. DeepMindAI teaches itself to be a chess grandmaster in 4 hours. Net Neutrality dies in 4 days. Qualcomm and Microsoft announce Windows on ARM computers. Facebook Messenger for Kids targets 6-year-olds. 2017’s top 10 YouTube videos and earners. Jony Ive is back in charge at Apple design. Hosted by Leo Laporte. Guests: Serenity Caldwell, Dwight Silverman, Iain Thomson. 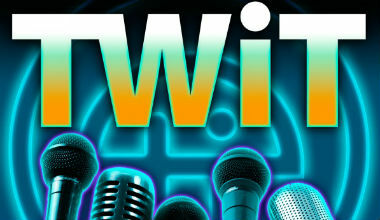 The TWiT.tv Netcast Network with Leo Laporte features the #1 ranked technology podcast This Week in Tech, along with over 20 other top-ranked online shows. Since 2005, our shows have provided news, commentary, help, how-to and perspective on the latest trends in digital tech from seasoned experts and journalists.